© Logan Gearhart. All rights reserved. While traveling back home to Pennsylvania from New Hampshire, we decided to take a detour through the Adirondacks in New York State. 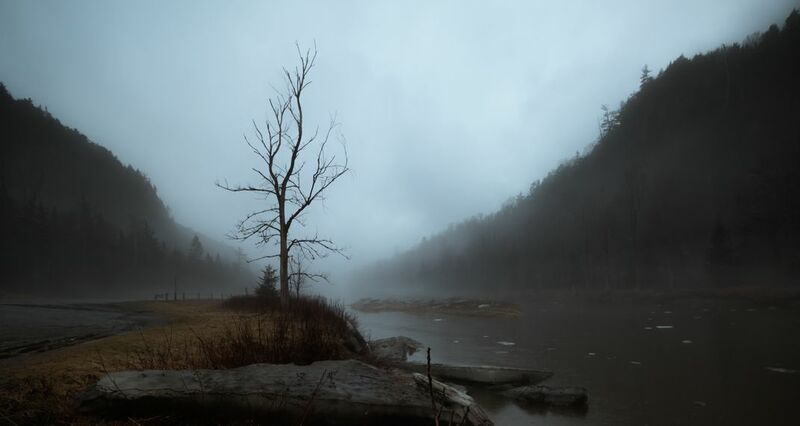 While following the Ausable River en route to Lake Placid, we saw a turnoff so we pulled over to capture this majestic and eery looking image downstream. Date Uploaded: April 7, 2016, 4:52 p.m.